Since my scoliosis surgery almost 7 years ago, I have achieved SO many things that I never thought would be possible post surgery. As scoliosis is in the news right now (as a result of Britain’s Got Talent) and in some cases being portrayed rather negatively, I thought I would try and put a positive spin on things. I wanted to share my achievements post scoliosis surgery to prove that there IS life after scoliosis surgery! Once recovered, your scoliosis shouldn’t stop you from living a normal life. Disclaimer: Please note, these are all things I have achieved once fully recovered (e.g after at least 1 year post op). Every case of scoliosis is different. I’m aware that not everyone is as lucky to be able to do all these things post surgery. If you have recently had spinal fusion, please do NOT try any of the below until you have had the all-clear from your Dr/surgeon. 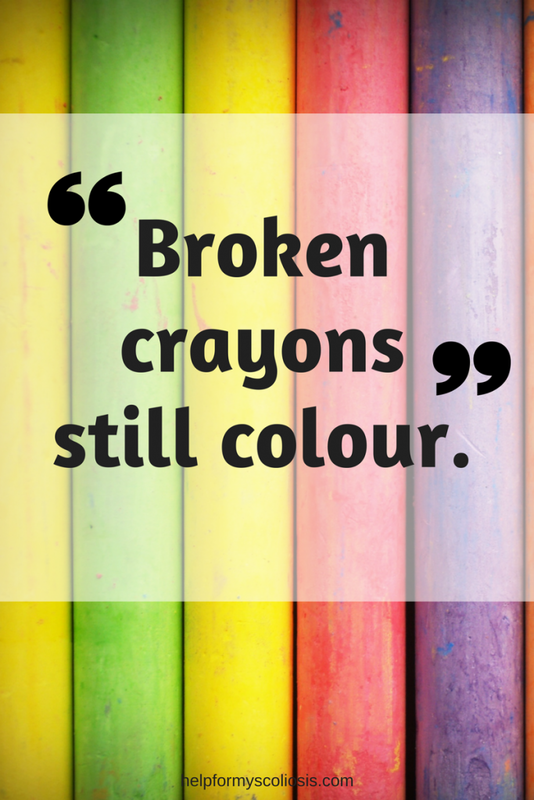 Yes, living with scoliosis and a fused spine can be difficult at times. There are things you probably shouldn’t do or activities that need to be adapted post surgery. Sometimes though, it’s easy to ignore all the amazing things you CAN do after such a major life changing surgery. I have blogged about most of these things already, but thought I’d list them all in one post and keep adding to it as I achieve more things! ANYTHING you put your mind to! My surgeon honestly told me there was nothing I couldn’t do after I had all restrictions lifted. (This was after about a year post op.) He even told me I could ride roller coasters and go bungee jumping (I’ll add it to my list…). I know every case is different and I’m not saying you SHOULD do any of the above things if you have had spinal fusion. Lower impact exercise is much better for the spine than say running. However, these are just some of the things I have achieved since surgery that I’m proud of. I never thought I’d EVER be able to do any of the above things when I was in the early stages of recovery. But our bodies are amazing things and I believe we can do anything we put our minds to. 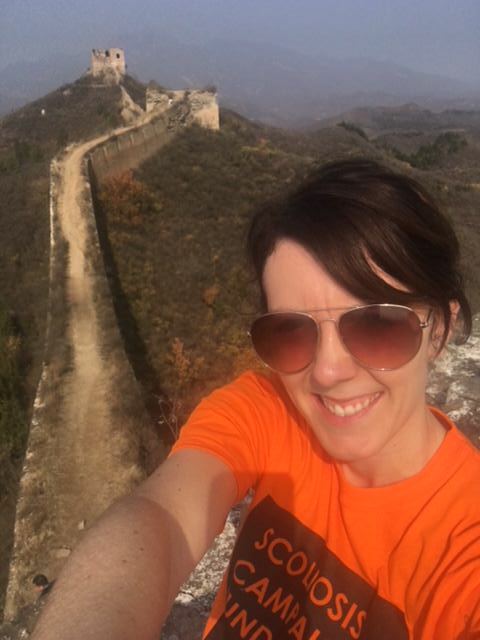 My ultimate goal is to run the London Marathon for the Scoliosis Campaign Fund because, wow, what an achievement that would be! The Scoliosis Campaign Fund had a team running the London Marathon this year and several team members had had scoliosis surgery. I just found that so inspiring and would love to do the same in the future. I think surviving this surgery has really made me determined to keep pushing myself to try and achieve more things. I just want to squeeze as much out of life as possible and do as much as I can/try new things. When I first had the surgery, I was scared of causing damage to the fusion but now I am more daring. Have you had scoliosis surgery? What have you accomplished that you thought would never be possible post surgery? Please share your stories below in the comments, I would love to hear from you! I think this certainly depends on the type of corrective surgery one has had as well. I’ve had rod implants, and was advised not to horseback ride, skydive, roller skate, or to do any other high impact sports/activities. I was also advised not to lift more than thirty pounds at a time. Surgery has certaintly advanced since I had mine, and perhaps patients are able to do more. You’re spot on when you say consult your specialist before doing any activity. AMAZING for you! I’m not sure how many levels you have fused, but NO respectable surgeon would EVER advise bungee jumping after a true scoliosis fusion. Maybe if you had two discs fused, but you are certainly not the norm. That’s fantastic that you have practically zero restrictions. 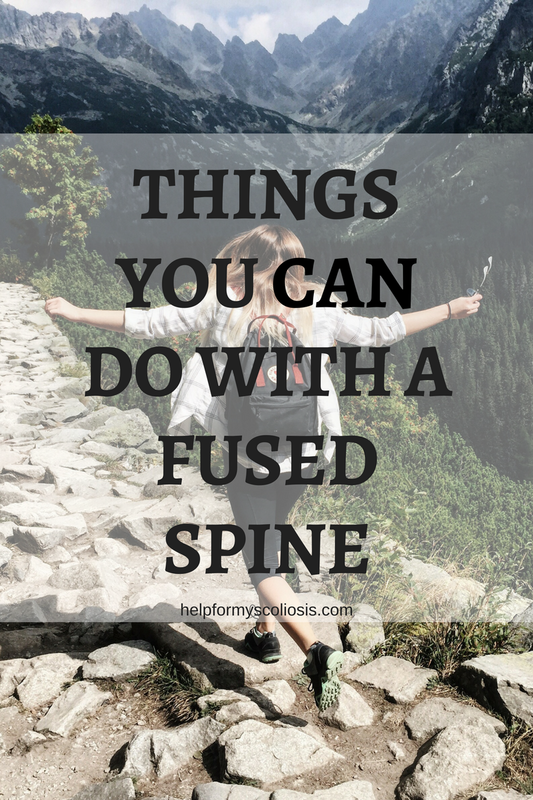 I’ve had five fusions, I’m fused from T2-S6 with two 7″ screws screwing my hips to my spine. My first fusion was when I was 14, and my last was in 2015. Then, and now I am not allowed to ski, horseback ride, lift over 15 lbs, run, ride a motorcycle, or even sit for longer than an hour; and that’s the small list of restrictions. My surgeon is one of the top ten best scoliosis surgeons in the country, and would have a heart attack if he read what you’ve done. Scoliosis fusion cost me my career, delivered a lifetime of major pain medications, severe depression, and permanent disability. I love that you’re showing a “lighter” side to a debilitating disease, but I truly hope others don’t read this and think it’s normal. Read the stats. Surgery pretty much guarantees a lifetime of pain, and only fixes the deformity; not necessarily the pain. Best of luck to those with super mild cases, or small amounts fused, but I find your blog extremely misleading to anyone researching their scoliosis diagnosis. I have pretty much my whole spine fused, apart from 3 discs at the bottom (T3-L3). Sorry to hear about your pain. I don’t mean to be misleading, sorry you feel that way 🙁 I’m just being honest and this is just MY story and I am proud of all I have achieved post op and want to inspire others. I totally appreciate that everyone’s case of scoliosis is different and not everyone is as lucky, which is why I state this at the start of the post. I hope you find some relief from your pain. I’m 32 and I had fusion for scoliosis from T4-L2 when I was 14. I was in a cast for about 6 months post surgery, then a brace that i little by little stopped using over the course of the next 6 months. I practice yoga, biking, chopping firewood, whatever needs to be done! I have some stiffness, but that’s where the yoga comes in. My main issues come from pain and stiffness in my neck. But again, yoga combats that pretty well too, when I find the time! I consider myself extremely lucky to have the very few issues that I have. Living a healthy lifestyle is very important for us fused people!! Thanks for reading my blog and for your comment 🙂 I’m glad you are doing so well post surgery. I think I need to take up Yoga it sounds like it’s very beneficial for those of us with scoliosis. You are right, it’s important to be healthy and as active as possible. Thanks again for your comment! I’m fused from T10 to s1. I’m also 61 yrs old. Running is not possible. Walking my thighs turn numb. Now my knees are giving me a lot of pain. But I try to keep moving, try to clean my own home just to keep me moving. As soon as I find another indoor pool I am going back to walking in water. Good luck to you. Hola!!! Fui operada hace 6 meses por una corrección de escoliosis desde T4 a L4. Aunque el postoperatorio fue difícil los primeros dos meses, ahora me siento mucho mejor, creo que las terapias y la actividad física me ha ayudado mucho en mi recuperación! Hasta el momento no me ha afectado mi vida normal pero si me ha hecho más consciente de mi cuerpo y sus cuidados! Que bien saber que después de este tipo de cirugías…la vida puede continuar con normalidad. Thanks for your lovely comment 🙂 all the best with your surgery if you have it! I have all of my thoracic vertebrae fused, at age 14. I ride rollarcoasters no problem as long as I am strapped in tightly enough. I ski, although I do not jump anything higher than 8 feet. I run 5Ks. I can swim for miles. I was told no contact sports (had to give up hockey) no bungie jumping, no skydiving, no trampoline for the first few years, and a 25 pound weight restriction. If I am sitting hunched over my back will get “stuck” sometimes, But A simple lie down and waiting for it to move back into place (10 seconds) does the trick. Keeping healthy and active is essential. Ive just seen this and i loved your story. I turn 20 tomorrow and had my spinal fusion 5 years ago im not sure exactly where it was but it was most of my spine that was fused with titanium rods and screws. I had a speedy recovery as i was only in hospital for 5 days and at my 1 year post op i was cleared for rides and rollercoasters. As its been a few years and am no longer in touch with my surgeon i was just wondering if you had any advice as i was thinking about trying to go back on a trampoline and im also doing a 5k obstacle course. Thanks for your comment 🙂 I think you should do what you feel comfortable with but with anything you need to be careful not to injure yourself. I went trampolining recently and it was fun, but you need to take care. You should be ok doing the 5K obstacle course as long as you train properly, although this depends on what obstacles there are and the length of your fusion as some obstacles may be more difficult than others if you have a longer fusion. I did Pretty Muddy (5K muddy obstacle course) last year and loved it! You can always skip some of the obstacles if necessary 🙂 I would say do what you feel comfortable with, as long as it doesn’t cause any pain or discomfort. It was wonderful to read all the comments. I am 71 and had my fusion at 14. I’ve lived through 10 moves and delivering 9 and 11lb babies. I’m not trying to say it was easy with the fusion but you really need to keep active. I try to exercise an hour a day. I walk on a treadmill for half an hour and find working with a ball along with stretching is very good. It also helps that we live in Ft. Lauderdale ad I can walk on the beach with my grandchildren. I am having my entire spine fused in in about 25 days. I am terrified, but my back is worthless as it is now. I feel encouraged reading these comments, especially from the 61 year old. I believe you have to keep moving, otherwise you really will be in trouble. Any advise on recovery? I live alone so how long should I expect to have to have help with the simple household chores, basic necessities? Thank you for your blog.